Hello and happy Wednesday! Wednesday came so quickly this week with Monday being a holiday. You know I truly think we should have a 4 day work week with a three day weekend. That would be awesome. 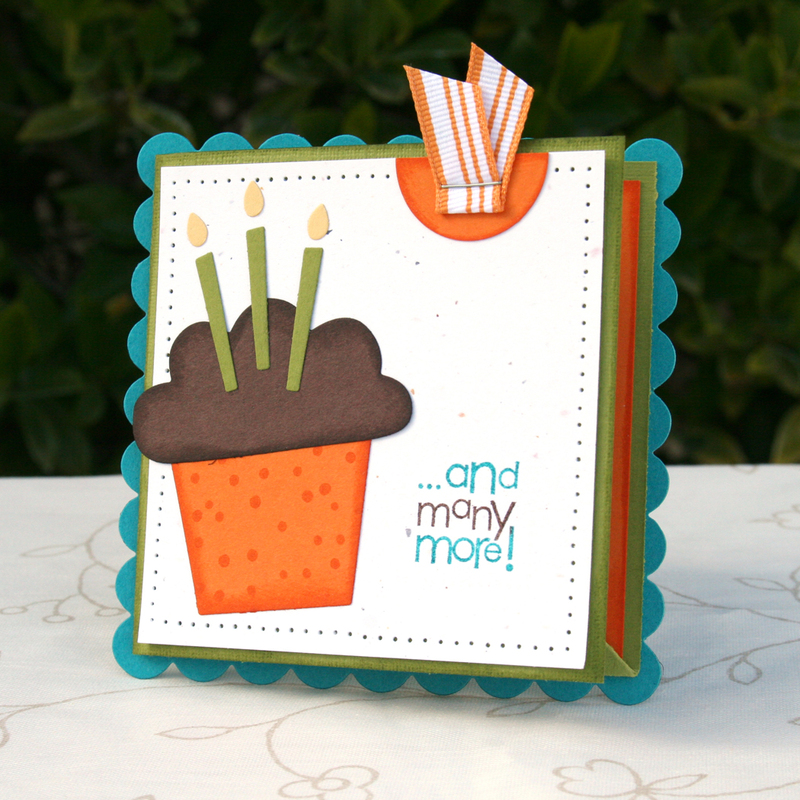 The project for today is a birthday pocket card. 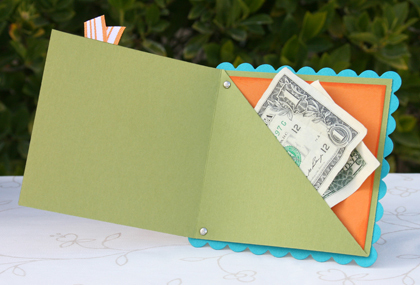 This makes the perfect card for slipping some money or a gift card into. Step 1: Start with a 4 x 12 piece of cardstock. Step 3: Score the center panel on the diagonal from the upper left corner to the lower right corner. Step 4: Fold up the piece so it makes a pocket that attaches to the back panel. No adhesive is needed to secure the pocket, you can use two brads to do the job. After the pocket was created I attached it to a scallop square I made using the Big Shot Die-cutting Machine. We made this card last week at my Stamp Club. The card below was made a year ago, because of this, I need you to use your imagination with the colors. Unfortunately one of my all time favorite colors, Taken with Teal is retired. I am still heartbroken over this. Even though you won’t be able to case this card exactly (unless you already have everything), it may give you great inspiration to create your own lovely birthday pocket card. Hope today’s project inspires you to celebrate someone special! Absolutely adorable cards as usual! Thanks for sharing the directions! Jessica this card is EXACTLY what I have been looking for! I’ve been trying to find a gift card holder that looks amazing and this is it!! Bookmarked this as a FAVORITE!! Keep up the excellent work! Oh that is so genius! I love it! TFS! I love these cards!! I kinda stumbled on your blog and I’m glad I did. 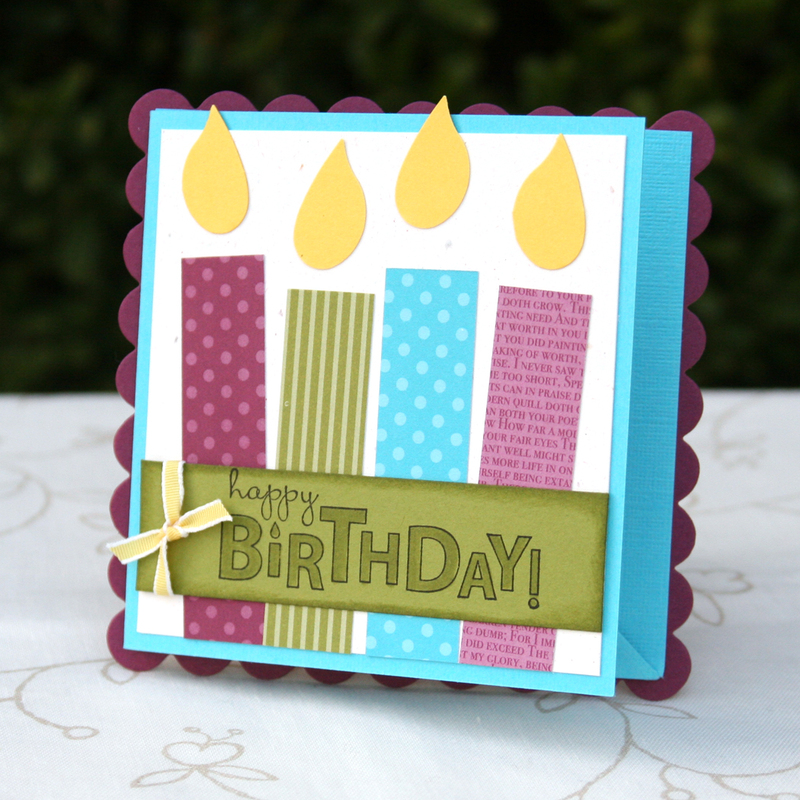 I CASEd your candle card for my granddaughter’s card. Thanks for the idea. You do good work. I loved your cards. Thank you for the directions too.